In all forms of relating, people can be divided into three main categories: Givers, Takers and Matchers. Apparently, according to Adam Grant, the ones who have the highest success rates in terms of establishing happy long-term relationships are also the ones with the highest number of failed past relationships. 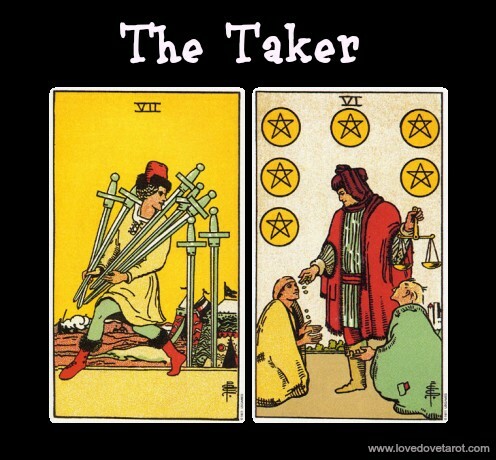 Let’s take a look at what these personality types might look like in a Tarot reading. Once the minority Giver finally(!) learns to navigate a world full of takers and matchers, they have a better than average chance to experience happiness in love. Everybody loves a Giver because a Giver is someone who expresses loving care in practical ways which makes the receiver feel seen and appreciated. This quality is exactly what makes Givers such highly prized prey to Takers in particular and this is why so many Givers find themselves taken advantage of to the point of feeling and being completely sucked dry both emotionally and financially. Givers should seek out other givers in order to establish happy and rewarding long-term relationships. Unfortunately, there is a natural pull toward takers but that is mainly up until the point the giver becomes aware of the need to be needed and addresses his or her boundary issues. 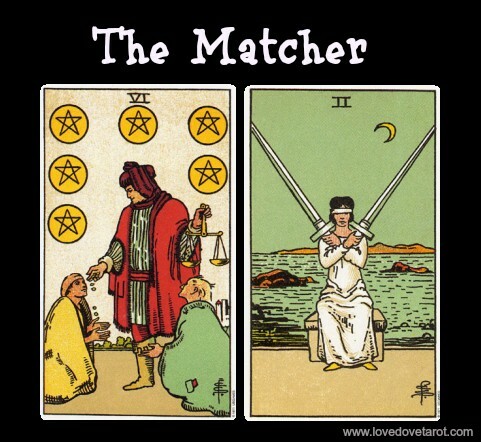 The Matcher is the one who keeps tabs on giving and receiving. If they give you something, they’ll expect something back and will resent you if the gift is not reciprocated in the way and the time-frame they expect it to be. They will also feel obliged to reciprocate any gift you give to them. They have a transactional mindset and are quite shut down at the level of the heart out of fear of being short-changed. In business, it certainly pays off to be a Matcher… but in love, constantly keeping tabs kills any spontaneity and the underlying fear of not getting back what you give out seriously block love from flowing freely. We may not be able to choose with whom we fall in love but we do get to choose how much we give away of both our own energy and our belongings… This is what sound personal boundaries are all about: to sometimes (in the interest of self-preservation) override the heart with the mind… Until such time the powers that be see fit to bring a kinder match our way. 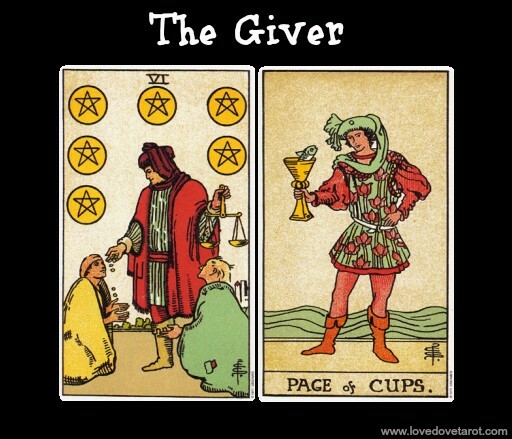 Are you a Giver, Matcher or Taker? Would you rather date a Giver, Matcher or Taker? Please share your thoughts below and let me know how these types show themselves to you in readings.